I posted months ago about a Custom Photo Art Print that I had designed for Minted and there's now a little update! If you aren't familiar with the Minted model – about every month they host a design challenge and people from all over the world submit to it. Each challenge is for a specific product (i.e. holiday cards, stationery, party decor suites, art prints) but are otherwise pretty open. Designers and customers then vote on the submissions and the top designs are sold on the Minted site. I recently entered a design into a Custom Photo Art Print challenge and won! See the image below. 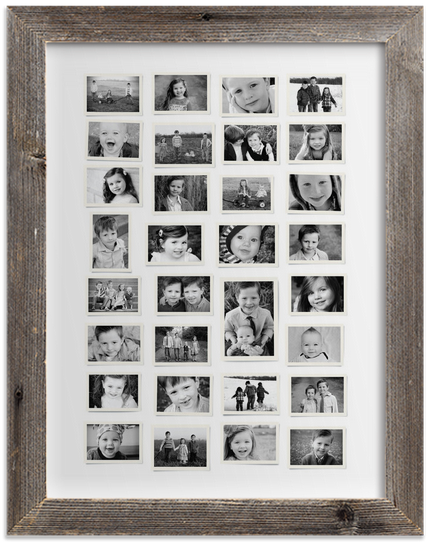 This design shows a bunch of photos that look like they are old film prints laid out in a frame.